Columbia High School students rehearsing for Once Upon a Stage. 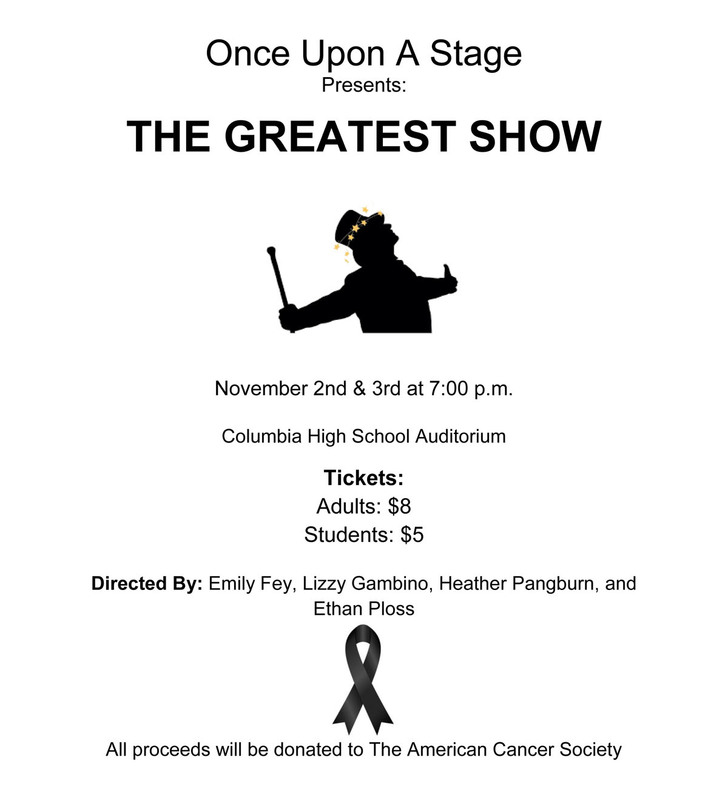 Columbia High School students will be performing in the cabaret style show “Once Upon a Stage: The Greatest Show” on Friday, November 2 and Saturday, November 3 at 7:00 p.m. in the Columbia High School auditorium. The program includes musical numbers from popular films and musicals such as Little Shop of Horrors, Moana, Rent and West Side Story. 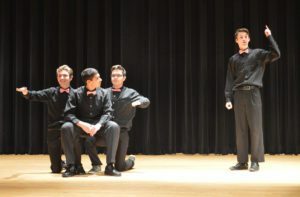 The show is directed by Columbia students Emily Fey, Lizzy Gambino, Heather Pangburn and Ethan Ploss. Tickets cost $8 for adults and $5 for students. All proceeds will benefit the American Cancer Society.